← As a small, seasonal retailer how can I better manage my cash flow? Queuing in Retail – a study by Barclaycard reveals we’re getting more impatient! The focus of the interview was queues! Barclaycard had recently done a study that proved consumers were more likely to abandon a low-value transaction if there was a queue, meaning a lost sale for the retailer. Barclaycard are ramping up the pace of the roll out of their contactless payment technology. Early adopters such as the sandwich chains EAT and Pret a Manger had proven how customers were able to transact in less than 1/2 the time of a standard card or cash payment when they used contactless – of course this reduced queues by speeding up the transaction time. 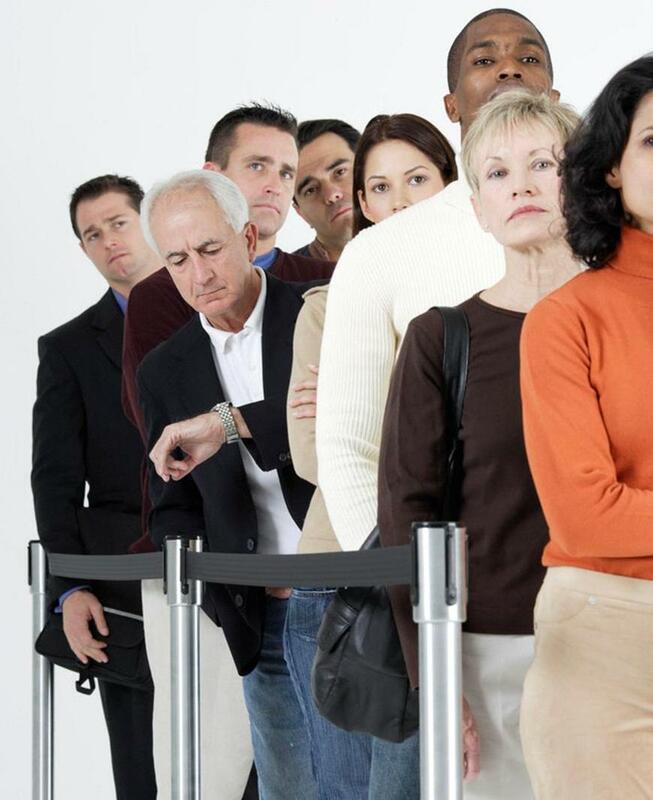 As it was the BBC there was no overt mention of the “sponsor” of the study, the focus was around how, as a nation often mocked for our love of queuing, we are becoming increasingly intolerant of standing in line in a time-poor world. My main point was to explain that if a consumer really wants an item they will wait and if it is a necessity, mundane purchase they won’t… you can see the rest on YouTube if it interests you! You can see the 2 outings on YouTube on my channel here… Clare Rayner: The Retail Champion – YouTube Channel – Enjoy! This entry was posted in The Retail Champion and tagged barclaycard contactless, bbc breakfast, clare rayner, queuing in retail, the retail champion. Bookmark the permalink. Queing and customer frustration will mean £££££ of list revenue for shops as customers leave. I fear companies have missed a crucial point that the easier the customers experience to include paying the more likely they will come back and spend more of there ££ instead of queuing elsewhere ! !